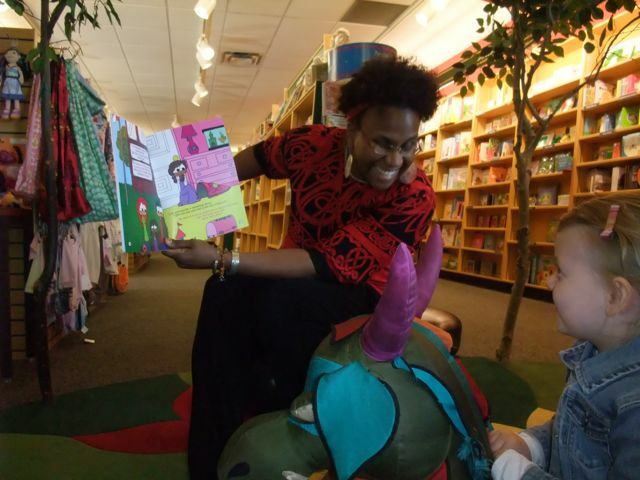 My name is Ola Zuri and I am the author of a children’s series titled, To Be Me. The overall purpose of the program is to provide positive literature to encourage and empower all children to believe in themselves with determination and faith, while discovering and using perseverance for success and overcoming obstacles in life. Children come in all shapes, sizes, shades, and abilities – my goal is to encourage and empower all of these children to grow confident with their own sense of self by providing To Be Me as a positive resource for them!! To Be Me also gives parents the support needed to raise the confidence levels in their children. It also provides resources for the educators, support workers and community members with situations any child may experience that is on the level of the child. 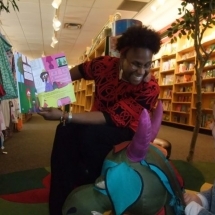 Next, the books emphasize roles to actively teach and encourage children to believe in what is inside of themselves and not on what others may say or want for them. 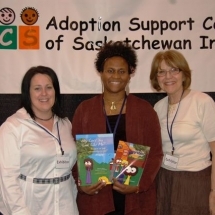 The variety of subjects touched upon in the books include family, identity, belonging, adoption, fitting in, foster care, and most importantly are the building of positive self esteem and of positive self confidence within children. Having this type of resource when I was growing up would have been fantastic! Unfortunately, there weren’t any supports and, as I continued to read and look around me, I saw these resources were still needed today. So, the idea came to me to do something about it and assist the children of today with learning how to build on who is inside of themselves when it came to dealing with some of the issues, such as loneliness and possible sadness, that they may not know how to work through alone. To Be Me is all about empowering the children with finding their own strength and power from inside of themselves – to see who they are as children and to grow inside with love for themselves and who they are as they mature and grow on a daily basis. If they can believe from within at an early age, that is what it’s all about! 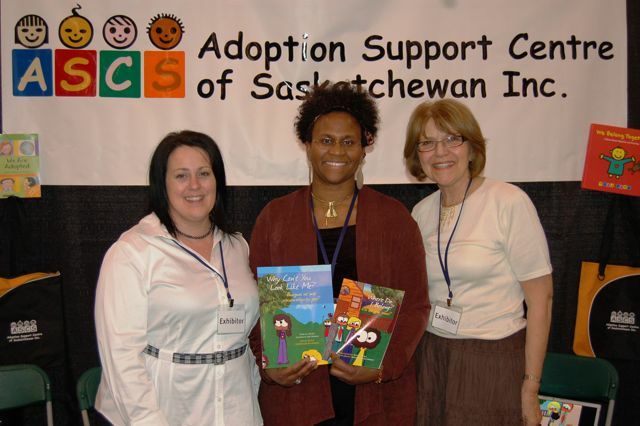 I am thrilled to be a part of the lives of the children and families I am touching everyday! It can only continue to get better from here! Where Did You Grow Up? What type of things did you like to do when you were growing up? I was born in Montreal, Quebec and I have a twin sister. 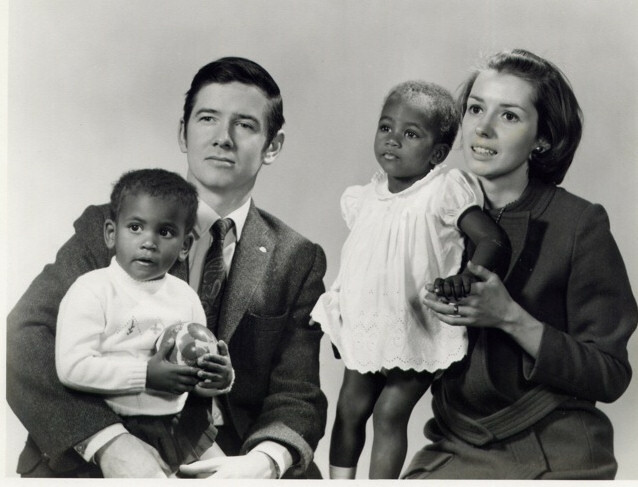 When I was two years old, both my sister and I were adopted out of foster care and placed into a transracial family. When I was five years old, my parents had a biological child and a year later we moved to Calgary, Alberta. I attended the local French schools throughout the city. My parents divorced when I was nine years old and my mom, my two sisters and I moved around a lot, living in almost every part of the city. I always loved children so I started to baby-sit when I was ten and a half and then became a professional nanny for many years. Reading, singing, gymnastics, and dancing were my favorite things to do as I was growing up and bike riding, roller skating, downhill skiing, and swimming were some of the other activities I loved to do. Getting involved with something outdoors was always better for me than hanging around in the house so I tried to be outside a lot, even if it meant only going to the park and reading under a tree! I would say I liked social studies, physical education, drama and home economics. Even though I never thought school was very much fun, and I definitely didn’t like math or english at all, I now work with numbers everyday and I am a writer! Wow! I guess it goes to show that things can change in your life! I always wanted to be a Kindergarten teacher – I thought it would be so awesome to be the first teacher a child had in school. I changed my mind as I got older and realized I had other thoughts and dreams to pursue before I wanted to settle down into one job. I became a professional nanny and was able to travel and meet new people all the time and because I also loved to act, sing and dance, I enjoyed the thoughts of becoming someone famous one day too. I took to the stage on many occasion and would audition for shows all the time — I thought that perhaps I would make it to broadway one day! I did make it there and had fun auditioning for shows, however, I came back to Canada to be closer to family and start to settle down into a routine. What kind of books did you read as a kid? I loved reading about everything! I would spend hours at the library almost everyday – reading whatever book I picked up. Books were my world and I loved being immersed within the words where I could travel on adventures to places I had never seen and could imagine all of the characters in each story as being my friends. I guess I really had a thing for words even when I was young! I started writing when I was in elementary school – I had a journal which I would write all of my thoughts, dreams, frustrations, and anything I wanted to talk about. I never really thought about it as anything, and never would have thought I would want to become a writer. The years passed and I started writing what I call Shared Thoughts© for friends and family. On more than one occasion, many people would tell me the writings were good enough to be published and I needed to see if someone would publish what I wrote. I decided I would try it out and see if I could break into the greeting card business and after a few years of rejections, thought I would take a break from the whole writing thing for awhile. 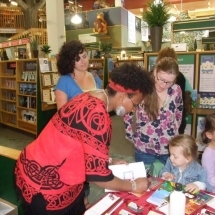 Not until I started having children of my own and saw there was still a lack of the type of books I would like to see for them, did I realize I needed to get involved with writing stories for children myself. With the publication of the books, I am now able to share some very positive messages to many children and families. I live in Kelowna, British Columbia, Canada. I live very close to the lakes and, in the summer, I spend as much time outside enjoying my time with my children in the sunshine, water parks, and beaches as I can. I live with the youngest four of my five fabulous children and, even though we do not have any pets at this time, if they each had their own way, I would have four children and four pets to live with! What a household that would be!! Lucky for me, they haven’t figured out how to get it their own way! For fun, I still like to read – reading is one of the most relaxing activities for me to do and is so enjoyable! There are so many good books to pick up and explore. When I’m not reading, I love playing Scrabble – finding and making new words always keep me entertained. I also like to relax by putting together puzzles of all sizes! My favourite animal is an elephant and I have a great collection of them, including a variety of puzzles! My kids and I also have lots of family fun time playing a variety of board games, going swimming or biking, watching movies, reading together, playing video games on the Wii, and hanging out as a family. I try to take a family vacation with them at least once or twice a year so I can have some down time too! I write my books in my office – my office is my living room so sometimes it can be quite hectic in there – kids running here and there, tv or computer on in the background – never a dull moment around that’s for sure! There are definitely times when I need some peace and quiet to keep my thoughts from getting jumbled, so I do have a cozy writing corner in my room where I will go to write as well. Most of what I write is about how to believe in who is inside of yourself for all ages, starting with preschool age and going all the way up to adult. I have a variety of children’s story ideas and some greeting card ideas out there. I have been writing and thinking about my memoirs for a few years and let’s say hmmmm, you never know where that may lead… and leave it at that for now!! Writing makes me feel better. I have a lot of fun coming up with the story ideas, moulding words together and then finding ways to rhyme the words – to bring the words together for children, parents, everyone! Having the opportunity to introduce someone to who is inside of oneself is a wonderful feeling and makes me want to write more and more everyday! I will continue to write from my heart because this is what is needed for the children of the world — words that help them to believe in who is inside of themselves — if I can help children realize that with the web of my simple words, I will never stop writing!! Where do you get the ideas for your stories and for what you write? I get my ideas from within myself and from a lot of my own personal experiences. Some of the ideas come from what I remember from being a child growing up and some of the ideas come from what is now my adulthood. Sometimes others have given me topics and ideas for other stories and I will see if they fit with the words that flow inside of me. Being able to connect with others through my words has always been a fabulous thing!! Why do you write? Are the stories mostly for children or adults? I write because I love to write! Once an idea starts generating in my mind, all of these fabulous words rush inside of my head and I have no other option than to get them out of there and written down. 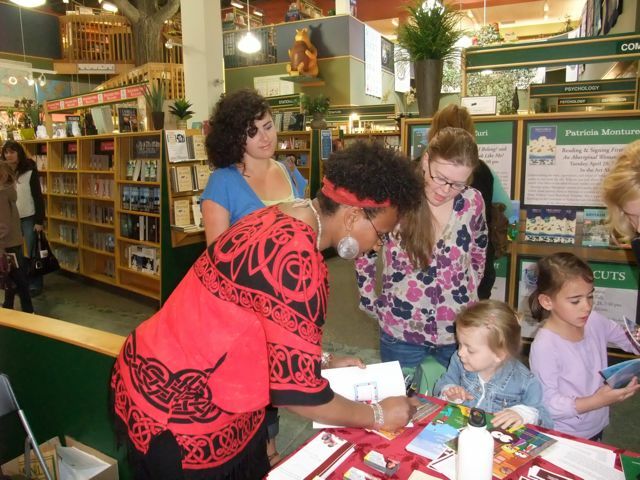 I write because of what I see children going through, having to deal with issues and areas of concern that adults tend to look at as adult areas of concern and not children issues. I know what it was like to be a child whom nobody would listen to, who was ignored, and was thought to be the child who was in a shy and awkward phase in my life. When it came down to it, all I really needed was someone to let me know it was okay to be who I was and to believe in the person who was inside of me all the time. 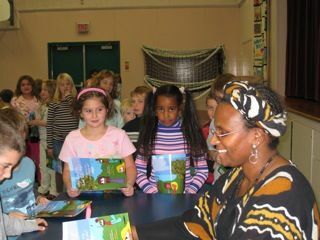 For me, I write because there are still children in the world who need to read my books and see that those words are meant for them to open up to who is inside of themselves — it isn’t always about the parents, or the teachers, or the adults who are in their lives — children need to have themselves first before anyone else in this world. 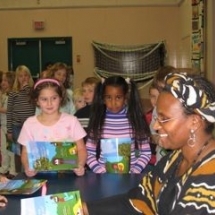 If I can help children with my writing, then that is what I will continue to do!! The stories I write are mostly for children because it is the children whom I see as needing to start to see who is inside of themselves from a young age — a lot of adults seem to have passed the point of believing in themselves and sometimes will read too much into what is being said in the words in my books – when I write a story, it is all about aiding children with ways to believe in who is inside of themselves and not about how an adult can aid, or shelter, or make the changes for them — the children who read a story I have written have the opportunity to listen to the words being read and discover what their true meaning is from inside of themselves. I still see a lot of books and literature being written by, and made for, the parents, educators, and mainly adults of the world and not as many books that are directly made for the children, from their own point of view. So I say this, my thoughts – my words – my heart — this is my gift to the children — To Be Me! !